Mafikizolo returns to Silverstar Casino this December in celebration of their 20th year in the music industry. 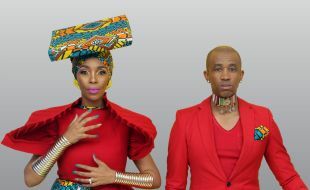 The award-winning group will also be launching their new album, aptly titled “Mafikizolo 20” through Universal Music Group. Mafikizolo will be backed by their accomplished live band and accompanied with a choral of dancers. Fans can expect to hear songs from their new album and those that shaped their career over the last two decades. Twenty years after their first breakthrough success, the duo are more unstoppable than ever! In between a very busy touring schedule, the musical pair have found time to spend the better half of 2017 working on their craft in studio to bring fans a brand-new album, after two decades of massive commercial success. The group will perform both evergreens and new material in this never-to-be-repeated special performance.